On October 27th of 2003, this 56.03-carat D-color Internally Flawles pear-shaped diamond, set in a platinum pendant with smaller diamonds, came up for auction at Sotheby's of Hong Kong. The estimate was 20,000,000 to 25,000,000 Hong Kong dollars, which is about $2,579,080 to $3,223,850, US dollars. In the end, the stone did not sell. 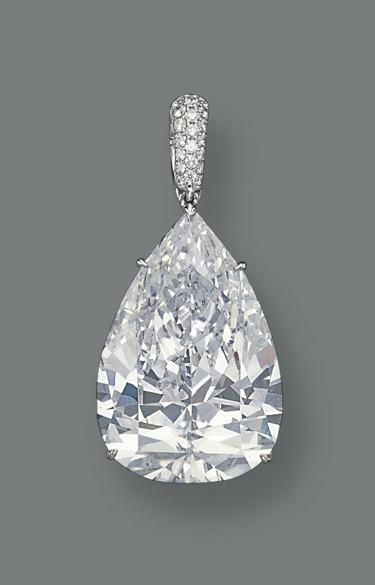 Sotheby's stated that it was the largest D-color Internally Flawless pear-shaped diamond to have ever been offered at auction.